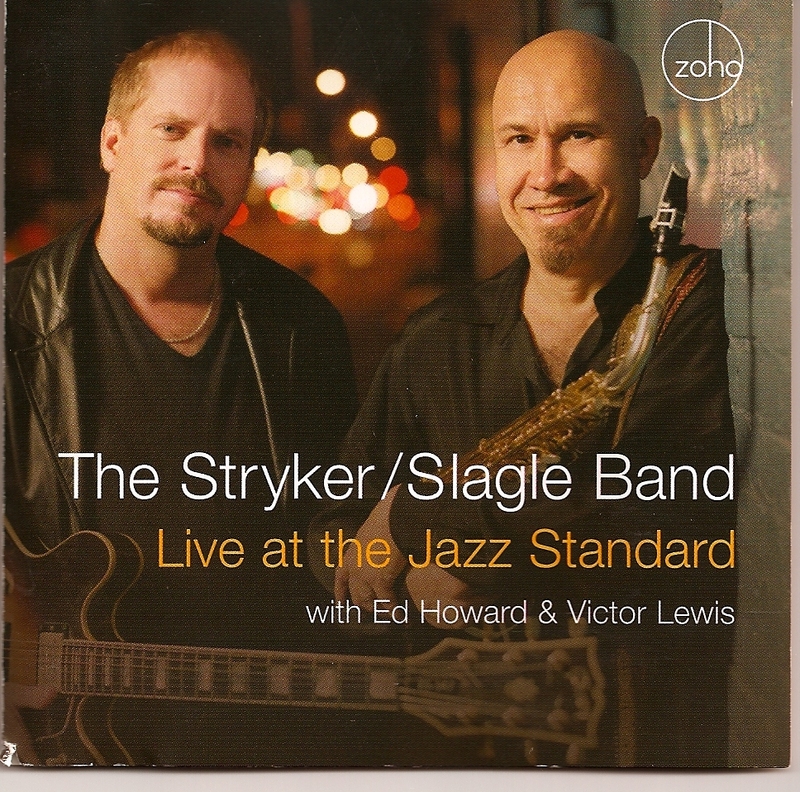 With a whole sheaf of new tunes to work over, guitarist Dave Stryker and saxophonist Steve Slagle went into New York’s ironically named Jazz Standard club for this one — ironic in that there is barely one standard on the disc. The two have been playing together for nearly 20 years; their mutual telepathy is obvious in the tightly knit way they mix it up on the last solo chorus before the return of the theme in “Mozone” and after the trading of fours on “The Great Divide.” Stryker has B.B. King on the brain in a piece as good as its name, “Boogaloo 7” (in 7/4 time); indeed, he is at his most winning when he goes way back home on tunes like this and “Muddy Waters.” The sole standard is a slowly creeping, beautifully relaxed “I Loves You Porgy.” Other highlights include a sly 24-bar blues, “Doubleblue,” and a Brazilian-flavored “Baba Marta” with Slagle on soprano. Perhaps the biggest asset these experienced players have on hand is drummer Victor Lewis, who isn’t shy about mixing the rhythms up and spurring them on (Ed Howard is the capable bassist). Zip to the end of the disc for the most interesting tune, Slagle’s tip of the cap to the recently departed Elvin Jones (“Passing Giant”).